This is the real sh*t right here. Two cuts that have never been on a 45 before coming out of Detroit. Dave Hamilton’s production style defines Detroit deep soul. O.C. 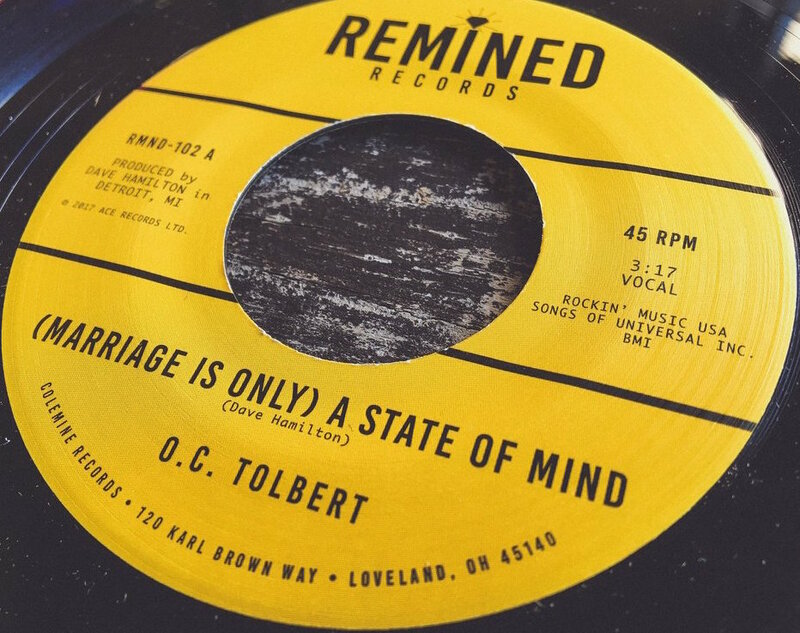 Tolbert’s version of “(Marriage Is Only) A State Of Mind” has never been released in ANY format before, so we are proud to present this lost treasure for the first time along with the killer instrumental version by Dave Hamilton on the B-side.